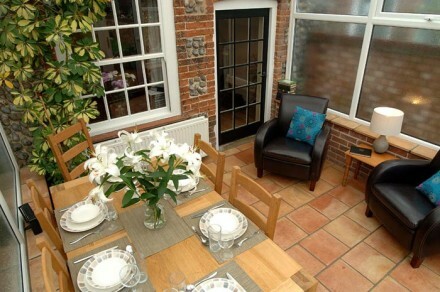 Built in the traditional brick and flint style like many old Norfolk properties, Rectory Cottage dates back to at least the 1800’s. 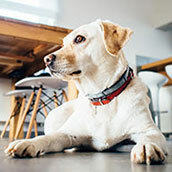 As a consequence, some taller guests may find the ceilings and doors a little lower than they’re used to! 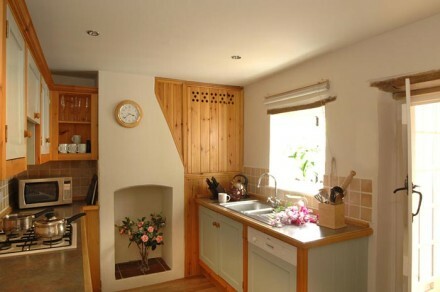 Despite this, visitors to this delightful cottage love its warm and welcoming atmosphere. 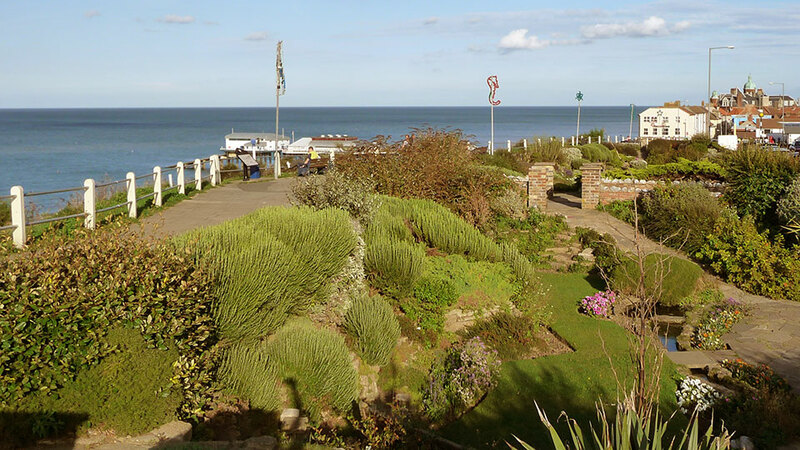 Ideally located in the centre of Overstrand, the property is just a few minutes’ walk from the sea, shops, pubs and restaurants. As Rectory Cottage is next to Beach Retreat – these two properties are a perfect choice for larger parties or two families holidaying together. Entering the cottage from the small front courtyard (so common of Norfolk fishing cottages) you enter the kitchen with its fully fitted wood units, oven, hob and all modern kitchen appliances. Unusually the kitchen also has a feature fireplace which many years ago would have held a traditional cast iron range for cooking on. 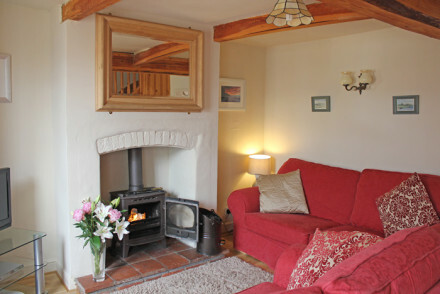 The main living room is a cosy retreat with its wood burning stove, exposed beams, polished wood flooring and two comfortable sofas. It’s the perfect place to curl up with a book and a cup of tea, modern entertainment is provided by the digital television and DVD player. Also on the ground floor is the airy conservatory diner with its oak dining table, casual seating, traditionally tiled stone floor and access to the back garden. 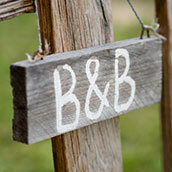 This is a great spot to enjoy a hearty breakfast or summer dining with a glass of wine! 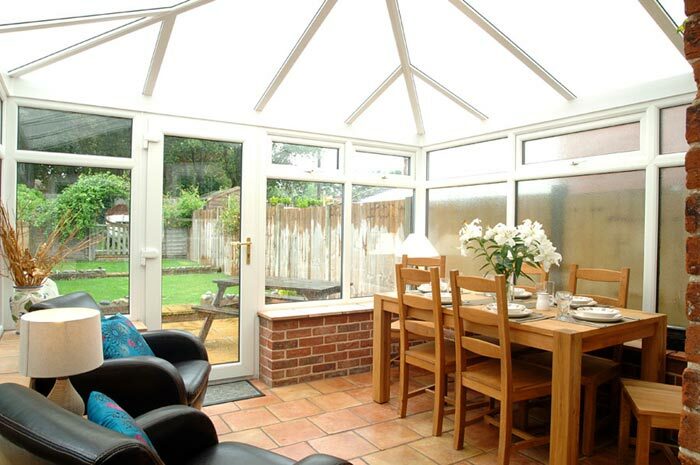 Enjoy dining ‘al-fresco’ in the charming little enclosed garden & patio to the rear of the property (with garden furniture and a barbecue). 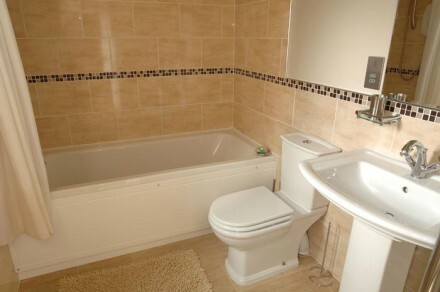 Lastly, downstairs is the bathroom with bath, shower, toilet and wash basin with sandstone tiling and detailing. Upstairs there’s two excellently appointed bedrooms, both of which have polished wood flooring, warm rugs and pine furniture. 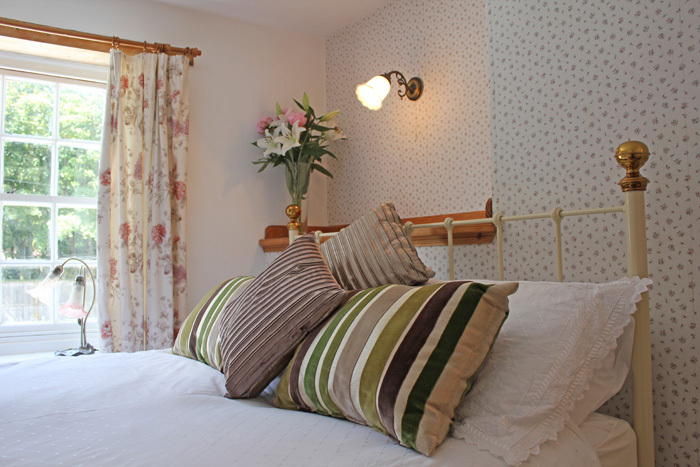 The master bedroom features a rustic style king-size bed and the second bedroom has two very comfy twin beds – easily suitable for either two adults or two children sharing. Finally, the spiral staircase on the first floor leads up to a compact attic room. 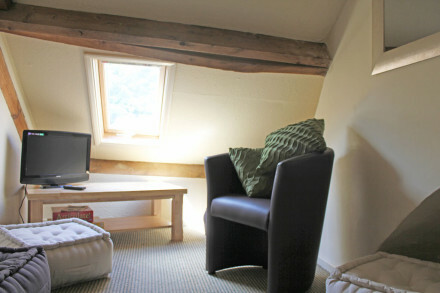 Although headroom is reduced by the exposed beams it has been ingeniously turned into a second mini-living room, complete with bean bags and television. It’s ideal for older children (you may not want to let younger children negotiate the spiral staircase) – they’ll find this a terrific place to escape the adults for as long as they like! Overstrand is an odd name for a village and visitors to this delightful north Norfolk village often ask if it means anything. 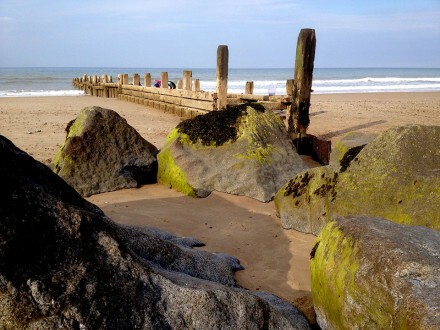 Overstrand has its roots in the old Saxon tongue (and from there, in the even older Nordic) – where ‘strand’ was the word for the part of the beach left exposed after the tide had gone out. Therefore the name ‘Overstrand’ seems to indicate that the place was up or above the strand – i.e. the place overlooking the beach at low tide. Overstrand can trace its origins back to pre-Norman invasion times and it’s mentioned in the Domesday Book. 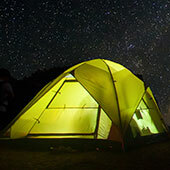 Its heyday was during the late Victorian to Edwardian period when the village became a popular holiday destination for many of the great and the good of their day. As a result, even today the village carries an air of gentility and quiet style which visitors find very appealing. The village of Overstrand is located in the centre of an official Area of Outstanding Natural Beauty. 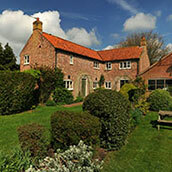 The breathtaking views and idyllic country scenes can be found all around Overstrand. Being situated in north Norfolk, Overstrand is less than 2 miles from the ever-popular seaside town of Cromer, with its expansive beaches, shops, cafes and restaurants. Please mention Experience Norfolk when calling.